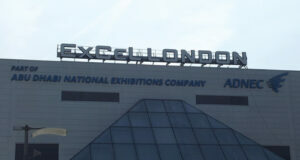 Held over three days the IFSEC event is an evolving animal. In years gone by the amount of CCTV on show was overwhelming, but today thanks to the development and widespread adoption of IP, SDKs and the reality of integration the event has widened its scope along with the way in which the industry and technology has changed. For example, nobody is talking about the benefits of IP migration from analogue anymore, instead it’s a given that your customers want to upgrade their surveillance and now the question is how much of the old installation do you want to keep in order to meet their requirements and on budget? You can keep the analogue cameras or keep the cabling, or both, and still enjoy the benefits of higher spec networked CCTV by utilising a whole range of options available from a host of manufacturers. And is it just me or is the raising of camera resolutions yet again just not as exciting as it used to be? How many ‘K’ is enough? Let’s just leave it at 4K for a year or two and let everyone catch up. Despite all of this rambling there was plenty to see at IFSEC this year which led to quite a lot of rambling (in its other meaning) as according to my smartphone on the third day of the show I walked 7.7km (or just over 4 miles in old money) catching up on the news. One of the most pleasing trends that we noticed was that the companies which were the targets of acquisition in 2014-15 are reporting no negative impacts upon their businesses. In fact it was quite refreshing to talk to the likes of Axis, Samsung, Milestone and Vanderbilt (formerly Security Products from Siemens) and see how enthusiastic the teams are now that they have the backing and support from new owners. This makes sense as nobody would think it is a good business model to buy one of the biggest names in the security industry to instantly change it into something else. Especially as its customers (that’s the likes of you) have built up a relationship with the people at those companies over the years and while you are happy to see a different logo on an invoice you don’t want to suddenly start talking to a total stranger who doesn’t know you or your company. And talking of strangers the other main trend we picked up at the event involved access control and how it looks like the technology is being simplified at the front end. We spoke to a number of companies that were launching systems that involve visitor management all aimed at making the installation and the use of access control systems as easy as possible. In fact this is a trend we saw a few years ago in the engineering sector where the features and benefits remained but the units were more straightforward. Maybe then the overall trend at IFSEC 2015 was that manufacturers have recognised the value in keeping everything simple; sticking to their core strengths and going with plans and systems that work, rather than over-complicating a process that doesn’t need to be changed just for the sake of it.